Prunes are European plums with a high sugar content that allows them to dry without fermenting around the pit and are almost all marketed dried, as prunes or dried plums. 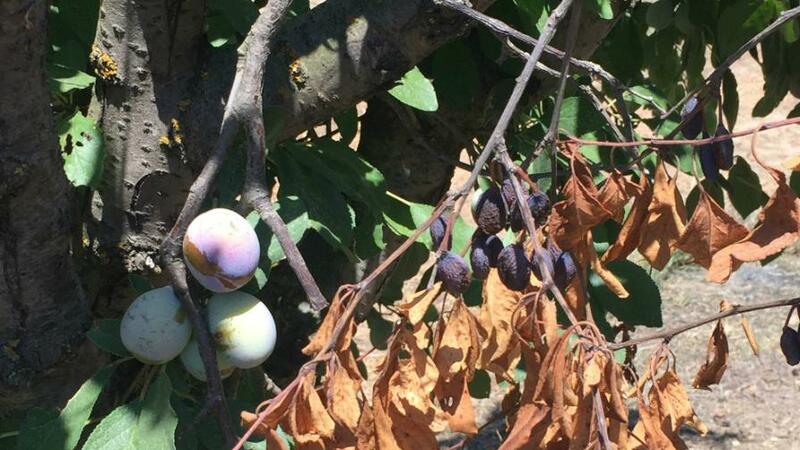 California produces 96% of the prunes grown in the U.S. and around half of California’s prunes are consumed domestically and half exported. Nestled in the fertile Sacramento Valley, Yuba City is in the heart of the dominant prune-growing area in California. 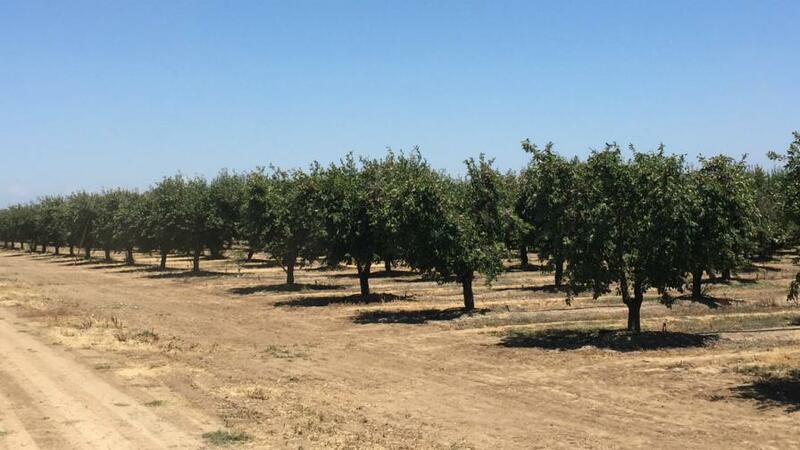 Since the 1960s, more than 80% of the state’s crop has come from the Sacramento Valley area. Yuba City-based Pinpoint Aerial Solutions (PAS) works as a service provider in this area, using multi-spectral cameras to analyze crop health. Part of their role as service providers is assisting farmers or agriculture advisers in crucial management decisions. Among 31 acres of prune trees, Nicholaus Helwig, the owner of PAS, shared more about a project they had crop scouting at Magenheimer Farms using a drone. They explained how it helped the farmer predict the overall tree health after the last foliar nitrogen application. Foliar fertilization involves applying nutrients to plant leaves, rather than the root system, which allows growers to respond in a more precise and immediate way. This particular application was extremely important because it was the last one before the harvest, giving the fruit a final boost. Magenheimer Farms, prune farm, south of Yuba City, CA. PAS used the DJI Matrice 600 Pro with a MicaSense RedEdge-M to capture the data. The drone was flown at 110 meters at 8 m/s with a 80% overlap. After the 20-minute flight, 2,771 images were collected which ended up being around 6.35GB of data. Once the data was captured, it was transferred from the drone’s SD card to a computer in the PAS truck. All 2,771 images were processed on-site using Pix4Dfields in less than five minutes. After the processing was complete, Helwig demonstrated how he uses the software features on the newly collected data. Generate two index maps: NDVI and NDRE. 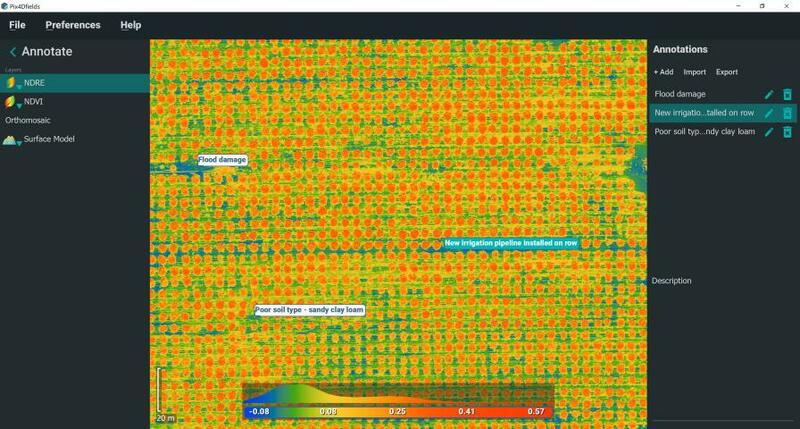 Use the comparison tool with the orthomosaic and NDVI to do a quick comparison of the field. Use the zonation to create an “easy to read” map of the problems areas which he then focuses on. Use annotations to highlight the ‘focus areas’ and adds more information to them. A water leak, which was immediately confirmed with the farm manager. A new irrigation pipe was identified as a potential area of concern. This was again confirmed with the farm manager. Identified an area with the significantly less dense growth. The farm manager was unaware of this issue, so decision was made to visit the area and check. NDRE index map used with annotation tool to highlight the problem areas. Upon arrival at the identified area the results from the data were confirmed; around 28 trees were growing less densely than their neighbors. The farmer immediately began the process of gathering soil and leaf samples to figure out what exactly is causing the issue. With the help of the instant processing and analysis tools, PAS enabled the farm manager to make the timely and focused decisions on site as a part of their everyday workflow. One of the 28 prune trees in the ‘less growth’ identified focus area with visible fruit and foliage damage. Prunes from this farm are tunnel dried ahead of packaging and are sold per ton per acre. Depending on the sugar quantity and fruit quality the price varies from $1,300 up to $2,000 per ton with an expected yield of three tons per acre. In other words, each tree matters and having stable tools that produce accurate and fast results brings immediate value through enhancing agriculture workflows. New software and tools for drone mapping for agriculture enable service providers like PAS to do their jobs in a faster and more accurate manner while at the same time providing farm managers with actionable data in the field. Tools like that have a direct impact on farm management – and consequently on farm’s profit. 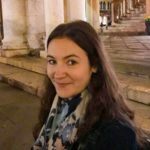 Barbara Horvatic is a Marketing and Content Specialist for Pix4D Agriculture. She has a Master’s degree in GIS for development and environment with a focus on remote sensing from Clark University. Email her at [email protected]. To find out more about Pix4D Agriculture, follow them on @Pix4D_AG or visit them at pix4d.com/agriculture. See all author stories here.